Tax The Rich 100 set up a YouTube account a year ago and posted some Ferrari 288 GTO videos, which received a few thousand hits. Then, in December 2012 he posted the infamous Rolls Royce Rallying video and became an instant, worldwide sensation. Tax The Rich 100's YouTube channel has over 18 million views and 54,000 subscribers. 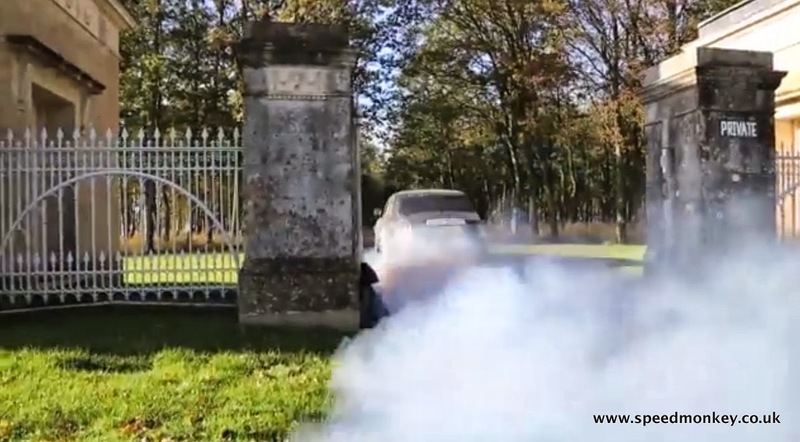 Until now the Ferrari, Rolls Royce, Bugatti and Jaguar hooner has remained anonymous. But Speedmonkey has found out who it is. And here's the proof. 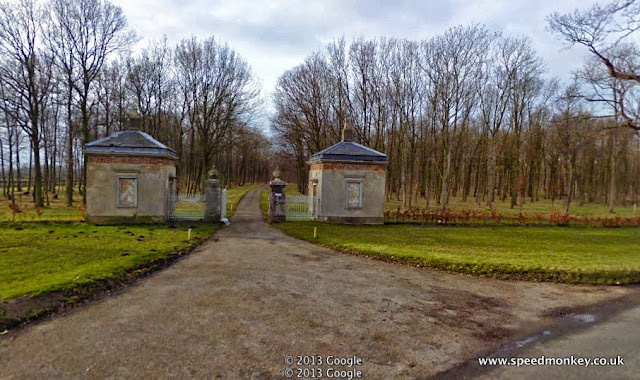 We've matched three screenshots from the videos with three real life locations, within the same estate and within half a mile of each other, and shown them below using Google Earth satellite and Street View shots to prove the individual locations are the same. Here are the gates in the screenshot from the video. Note the upturned arch in the white ironwork of the railings. Also note the PRIVATE sign on the right column and the buildings either side of the posts. Finally note the row of trees beyond the gates. And here's a screenshot from Google Earth Street View. Note the arch, gatepost with PRIVATE sign, buildings and trees. 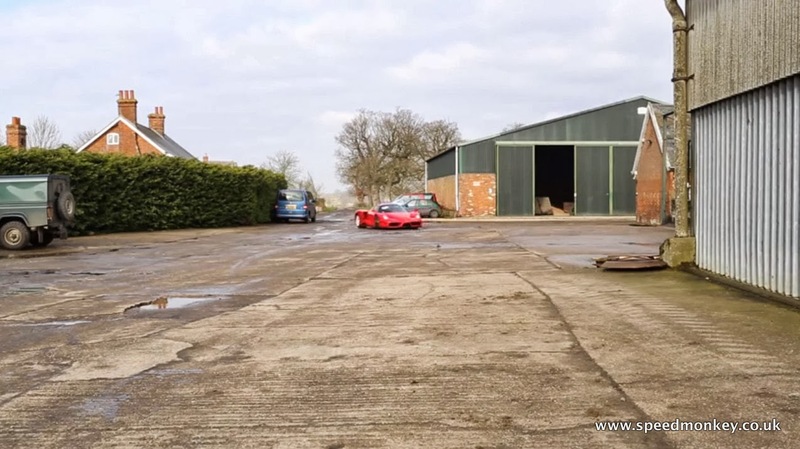 Here's a still from the Ferrari Enzo WRC video. 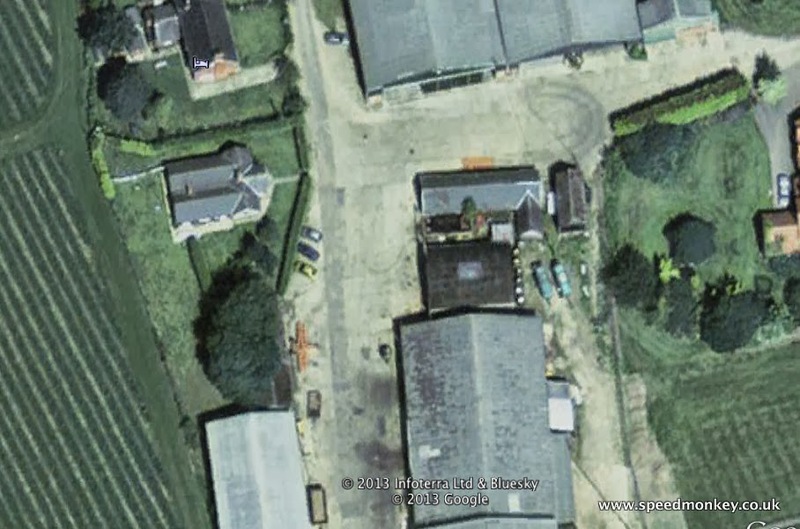 Note the hedge to the left with house behind, the shape of the barn with it's door open, the barn immediately to our right with the shape on the floor next to the drain pipe, and note the smaller building, whose gable end we can see, between the barns. Now here's the Google Earth satellite image. 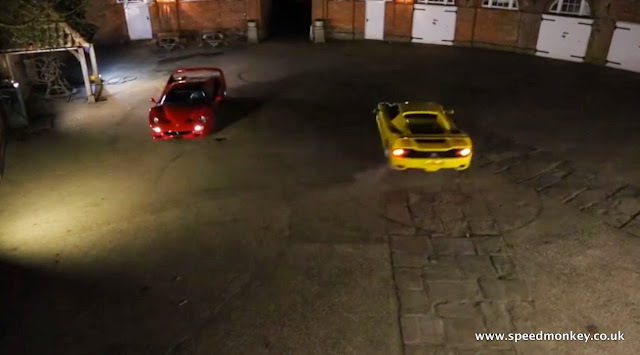 The camera in the video is facing north with the Enzo headed south towards it. Note the hedge, the house, the round object near the edge of the building on the lower right, the gable end of the building in between the barns. This still from the F50 Showdown shows a curved building to the top of the shot and a distinctive Y shaped pattern set in cobbles. Here's the Google Earth screenshot. Note the curved building and Y shaped cobbles. If you watch the video you will also see the clocktower which is on the horseshoe shaped building to the top right of the screenshot. That's the proof. 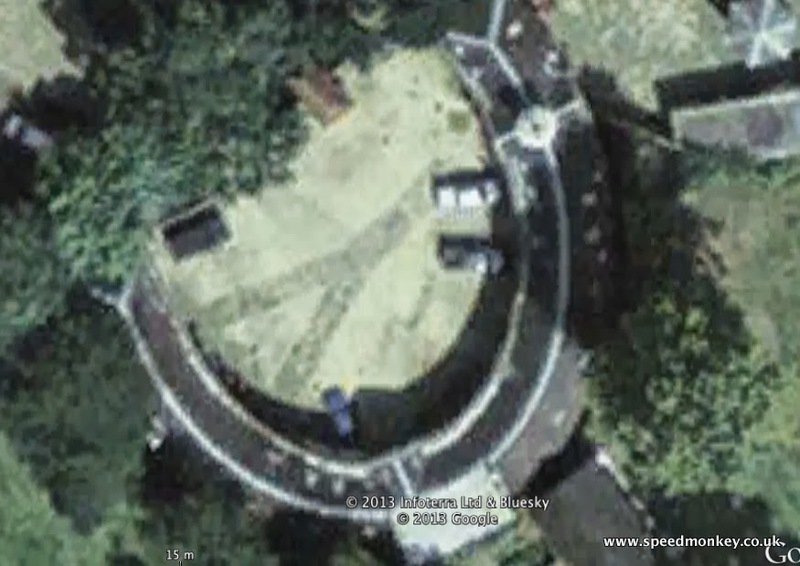 Speedmonkey has pinpointed the exact location and therefore the owner of the property on which the videos are filmed. The owner is rich enough to afford the cars. And the owner, and Tax The Rich 100, is Harry Hunt of Heveningham Hall. His father is Jon Hunt who made mega-millions when he sold Foxtons estate agents. Here are the three videos in question. See if you can find any more clues in the screenshots we've provided.